Hello! I have to start by apologizing for my lengthy (and unexpected) absence. My Petite Dauphin decide to arrive 3 weeks early and I was caught a little off-guard. 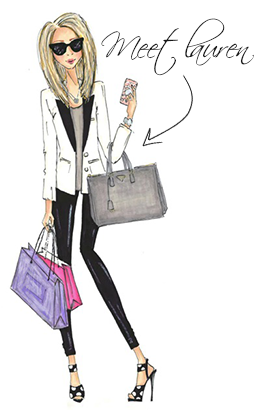 We're starting to get into a routine now and I'm already starting to think about Fall fashion so I thought I'd pull together an early Fall wish-list. Let me know what you think! I'm not sure how regularly I'll be posting moving forward but I definitely won't let this much time pass again - promise. Anthropologie has two jackets that I'm currently obsessing over: the Well-Wisher Jacket and the Biker Melange Jacket. 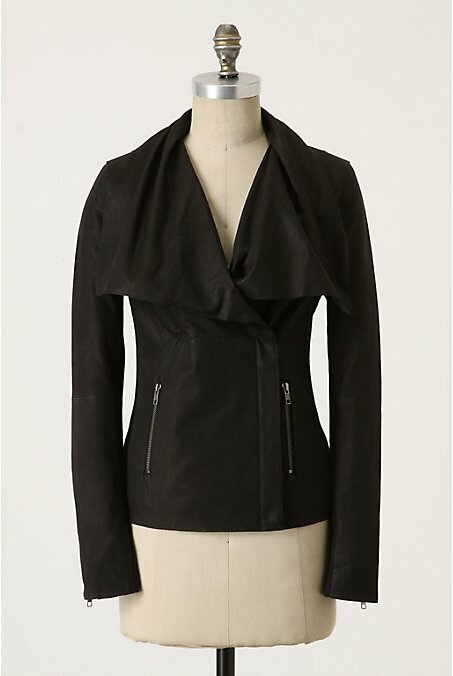 I love the ruffle and military-detail on the Well-Wisher Jacket. The Snood - you know how obsessed I was with the Snood last Winter. 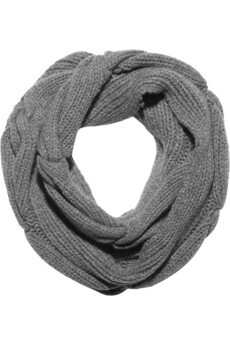 I'm in love with the newest version from Burberry that comes in a wool and cashmere-blend. It's the perfect casual/luxurious mix. 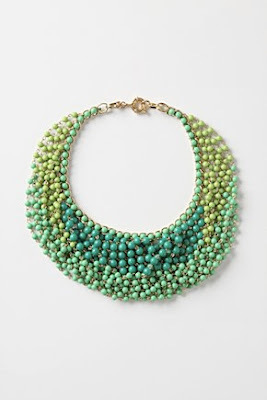 This Beaded Swag Bib Necklace is fantastic. 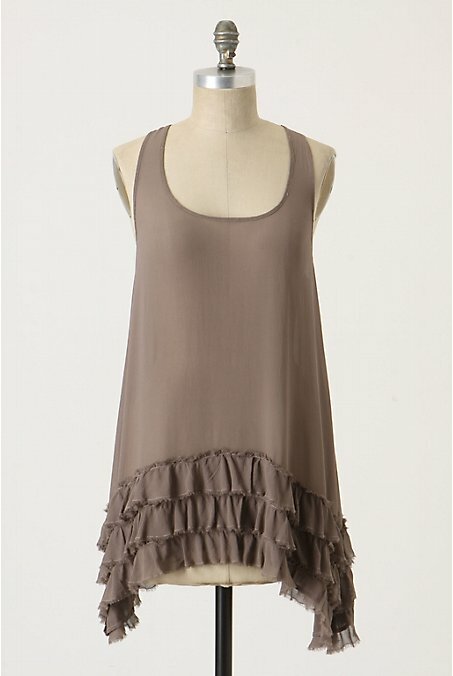 It'll look fantastic with a t-shirt or a little black dress. 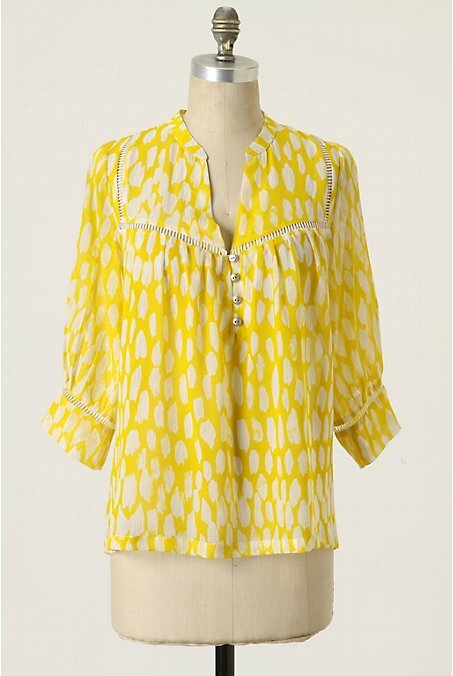 It also comes in yellow which I love. 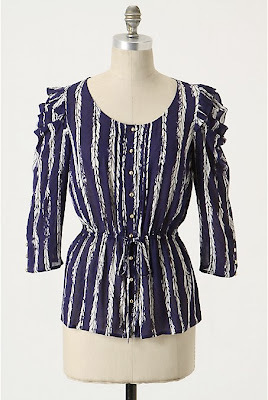 I want all of these lady-like blouses for Fall. I'm going to ignore the fact that I have a new-born and he'll probably spit up on most of my clothes. My favourite blouse (which I've already pre-ordered) is the Silk Ribbons Blouse from Emmersonmade. The black and white dot silk blouse is the perfect lady-like blouse with mother-of-pearl buttons for the sleeve, collar and front closures - LOVE. I'm also lusting after the yellow Flowering Pasture Blouse and Rochelle Blouse from Anthropologie. The Frayed Boundary Racerback tank will look fantastic under little jackets and sweaters this Fall. This Stormy Paisley Sweater Jacket is so pretty. 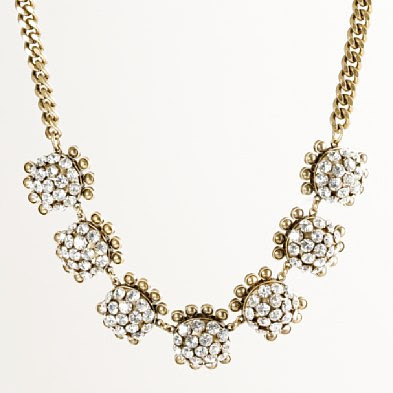 My love for J.Crew jewellery is well known and this Crystal Pebble Necklace is another one of my favourites. These Jimmy Choo Private Patent-Leather Sandals are A-M-A-Z-I-N-G! I am obsessed. They obviously aren't really for Fall but I had to add them to my wish list because they're so fantastic. And they would be unbelievably flattering. Love them! Well, that's it for now. It's still July so I'm sure there will be quite a few more items to add to the Fall wish list in the coming weeks.